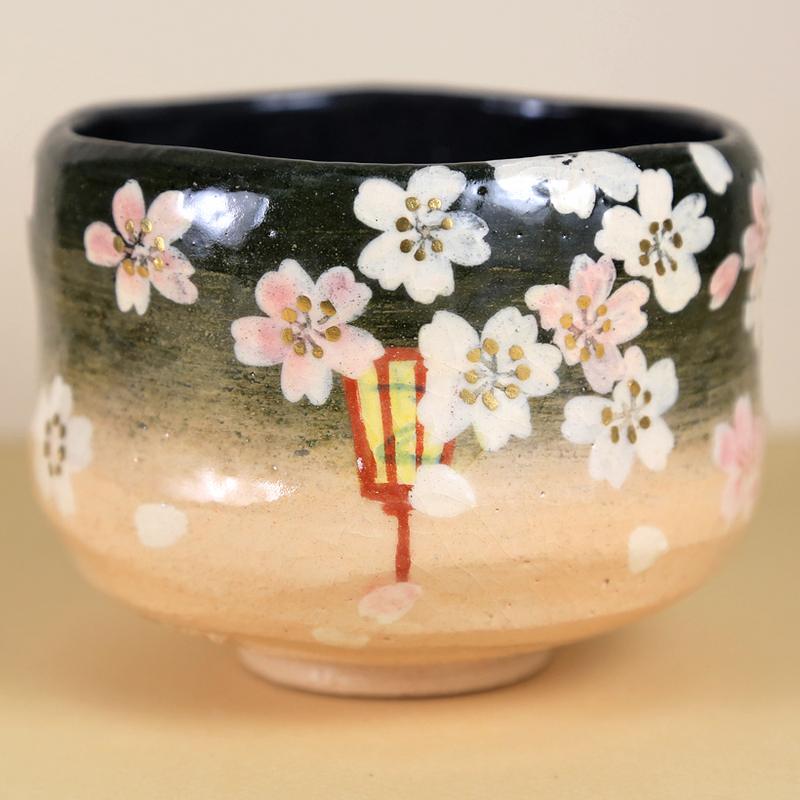 Raku tea bowls are made by hand, without the use of a potter’s wheel. The potter works the clay with his hand raising the sides while holding and coddling the shape of the clay into the desired shape. Potters touch the tea bowls in the same manner that the users will hold them as they drink from them. Fingers and a small wooden spatula are the only tools used to shape the bowl and scrape away excess clay. In this manner, the connection made in the tea room between participants and the experience of drinking tea is continued in the connection between the potter and the participants. 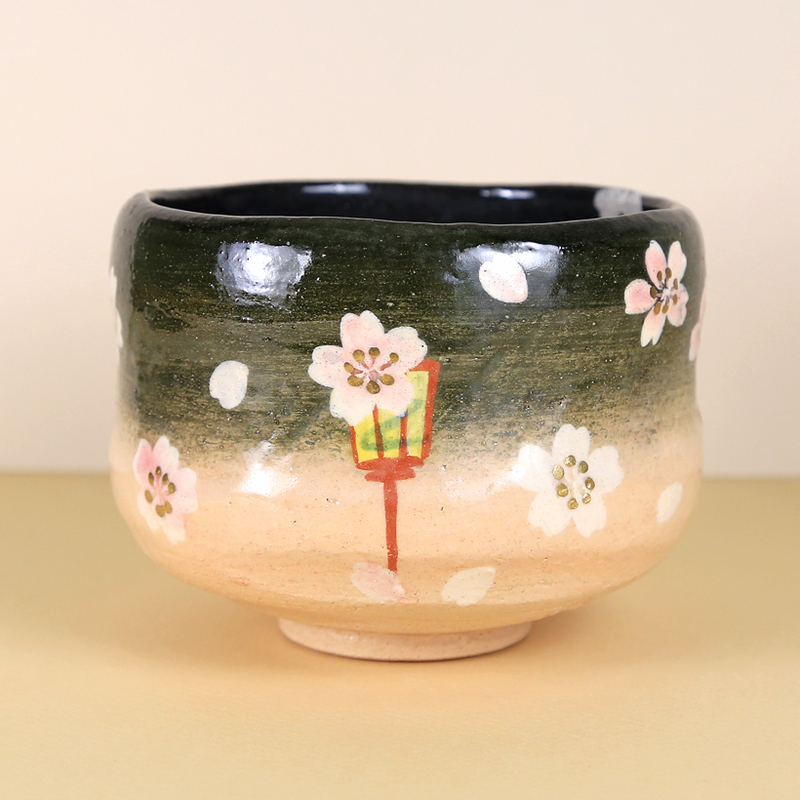 Raku tea bowls can vary considerably in bowl size, foot-ring design and width of the bowl, but the rim of the bowls are always be made with the tea drinkers ease of drinking in mind. 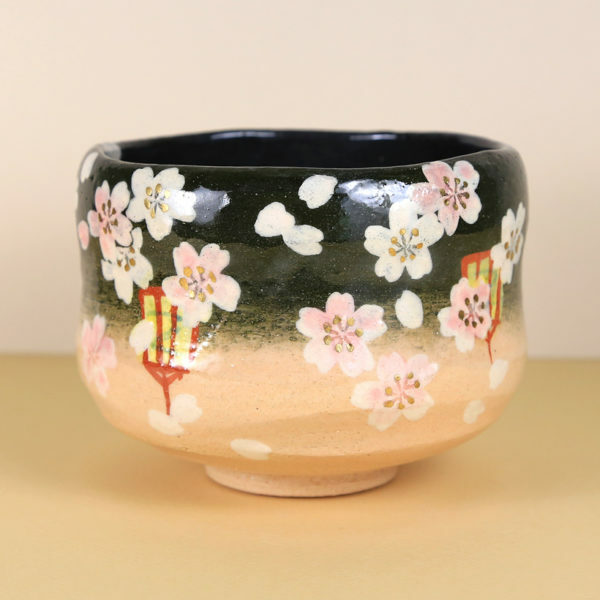 We don’t know the name of the artist who made this charming Raku-yaki matcha bowl but that does not diminish it’s appeal. 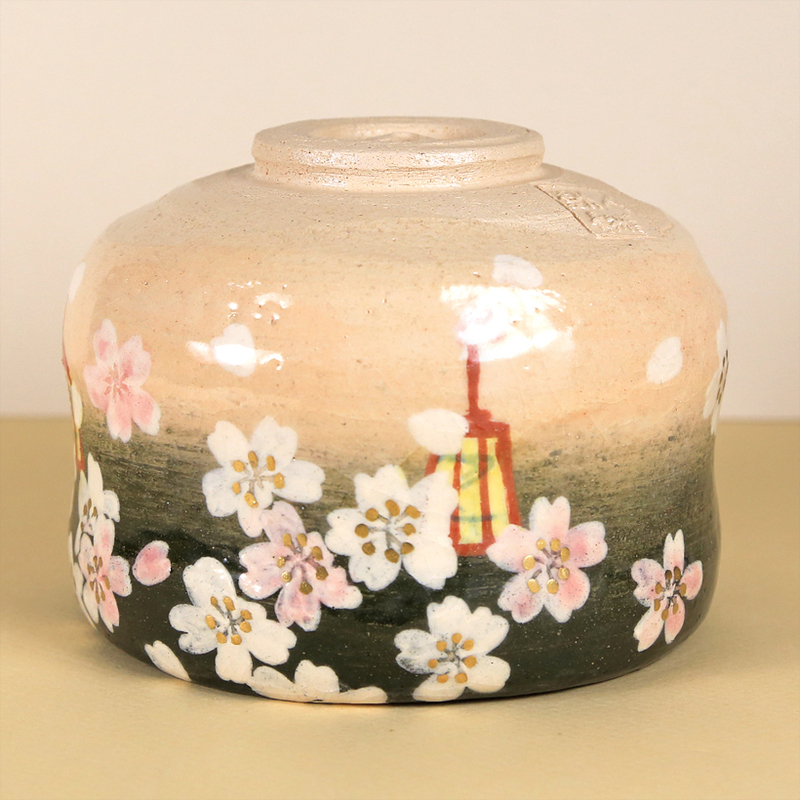 Sakura blossoms scatter across the surface of the bowl as if being carried away in a light wind. Festive lanterns add to the colorful harmony of the decoration. The top of the bowl is dark in color which fades to light pink in the bottom half of the bowl. This is a nice contract of colors and to me suggests a ‘winter-giving way-to-spring scene’.